Approximately every 10 years or so a product is released that defies belief. It scream quality and is utterly gorgeous, the Streacom DB4 is this decade's product! The DB4 is a design masterpiece featuring a bisymmetrical design that blurs the lines between technology and art. Every element of this case subtly screams premium, from the 13mm thick extruded aluminium side panels to the precision CNC'd internal frame, all perfectly blended together with Streacom's characteristically understated design tone. 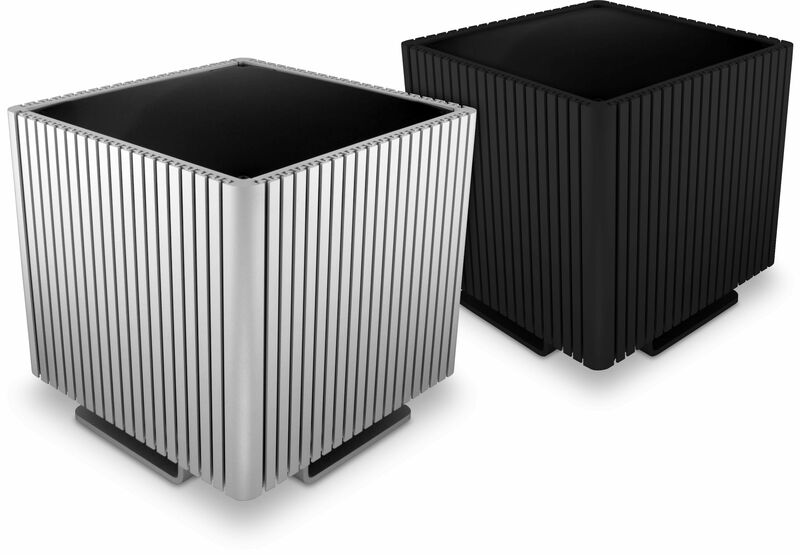 Key to its design are the identical sides of the case which serve both as the striking monolithic exterior and the convection surface (or heat sink) for component cooling and is the basis of its fanless operation. The top of the chassis features a matt black PVC cover that has cutouts on each edge to allow heat to escape. The existing CPU mount has also been re-engineered to be adjustable and universally compatible with any current desktop socket. It now features a copper shim interface between the IHS and heat pipes which creates a more efficient all copper thermal path to the heat sink, greatly improving cooling performance. To make assembly easier, all the side panels are removable, as is the motherboard tray, leaving an open frame with plenty of accessibility. 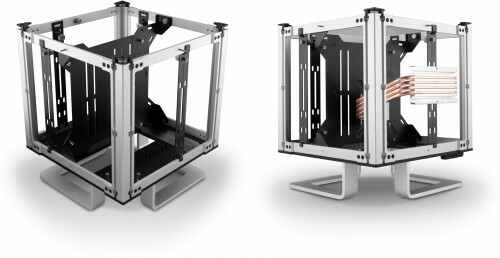 Building on the innovation of the ST-F12C, components are fitted using a universal bracket system that supports, drives, heatsink mounts and the ZF240, allowing components to be mounted anywhere along the frame of the case, delivering a truly modular and flexible layout. The DB4 measures 260 x 260 x 270mm but still manages to accommodate an ITX motherboard, a dual slot full height PCI card (max 200mm length, 110mm height), up to 5 x 3.5" or 12 x 2.5" drives (lots of combinations in between), and can be powered by their ST-ZF240 or Nano Series PSU solutions. 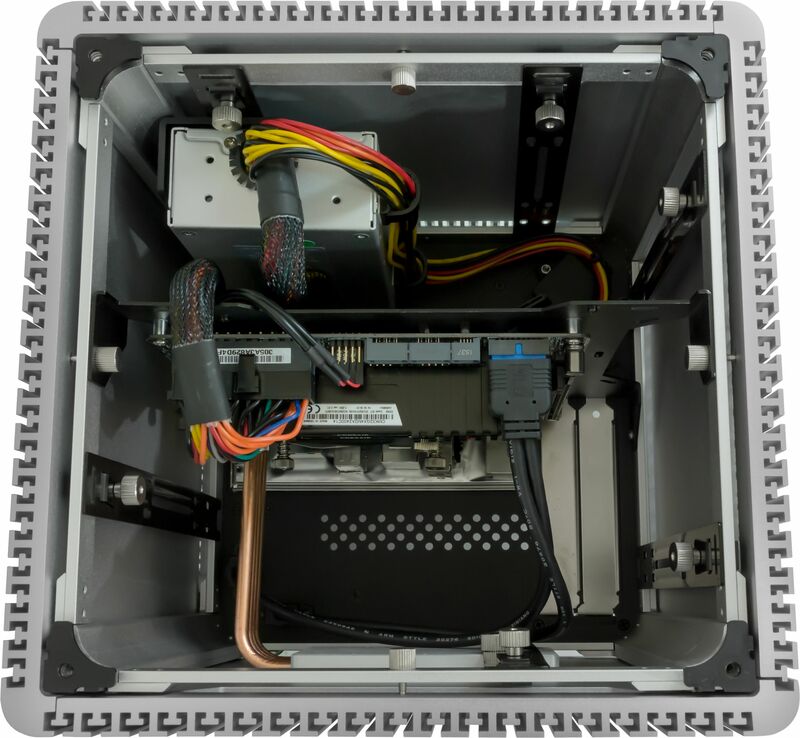 If you would like to purchase this chassis as a complete system please take a look at the gorgeous DB4 Silent Cube. *Many different combinations of both. †Pay attention to the AUX Power Connector orientation on the graphics card as this could increase the total height above the 116mm limit. ‡As with any passive cooling solution, environmental conditions will have an impact on the performance. A location with adequate air flow and moderate ambient room temperature is required.